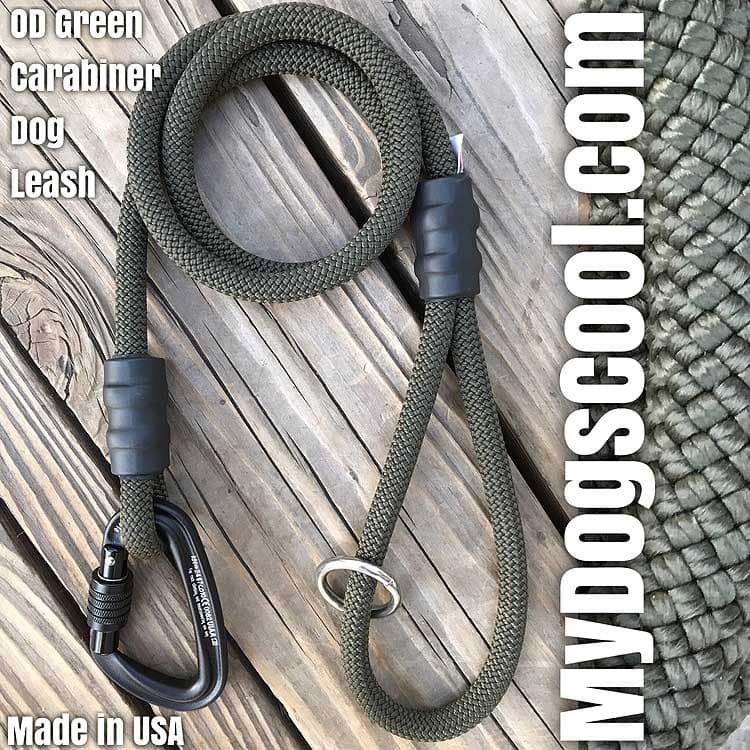 OD Green Climbing Rope Dog Leash. 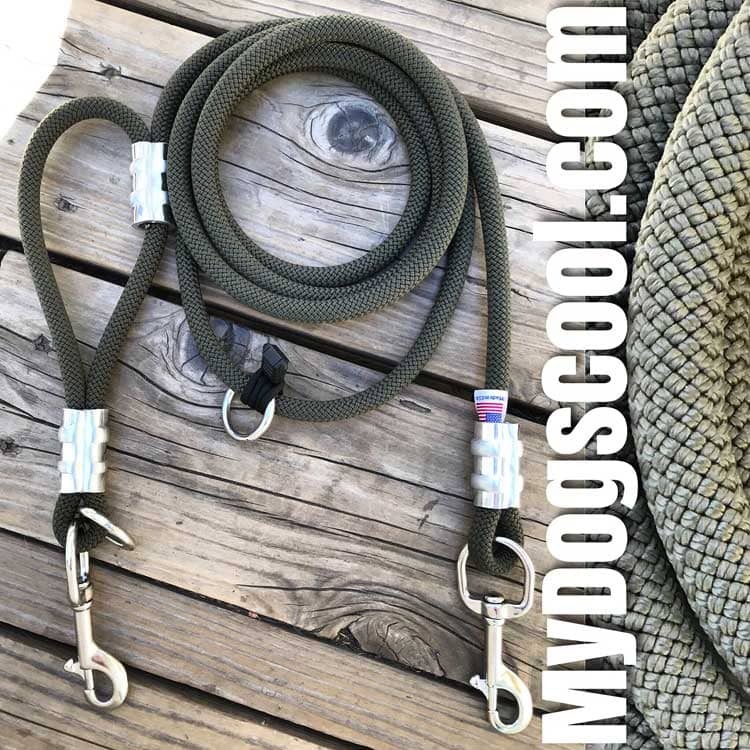 Designed with 10.5mm olive drab climbing rope, 3.5 inch/89mm 316 stainless steel clip that’s permanently attached with customized rope clamps. 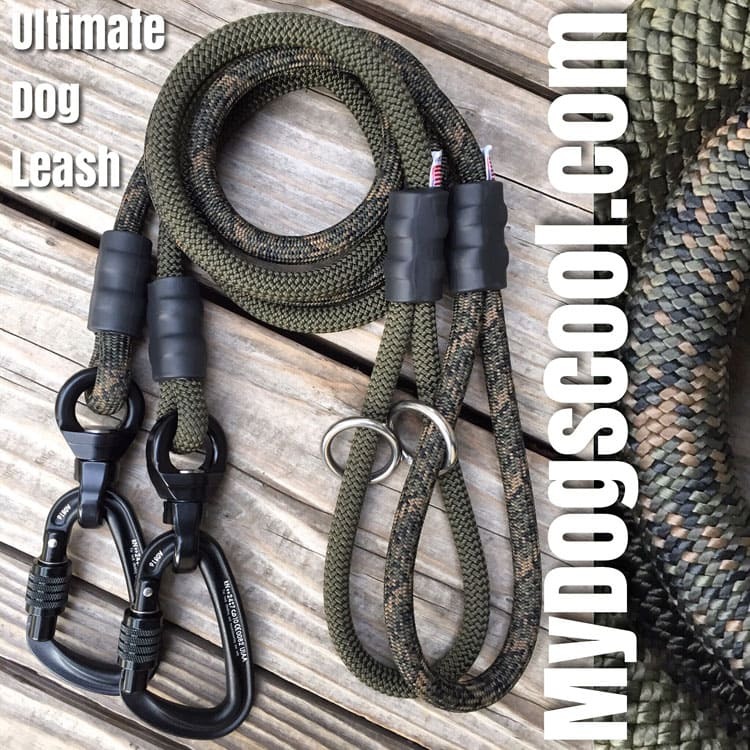 This climbing rope dog leash is strong enough for the largest dogs and flexible enough to carry in your cargo pants pocket or fatigues. 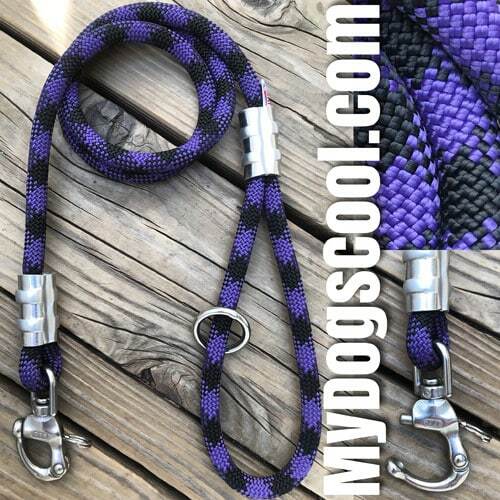 At a length of four feet, this lead is a popular length for walking your dog. Longer six foot lengths are available for basic obedience training, as well as shorter traffic or control leads. 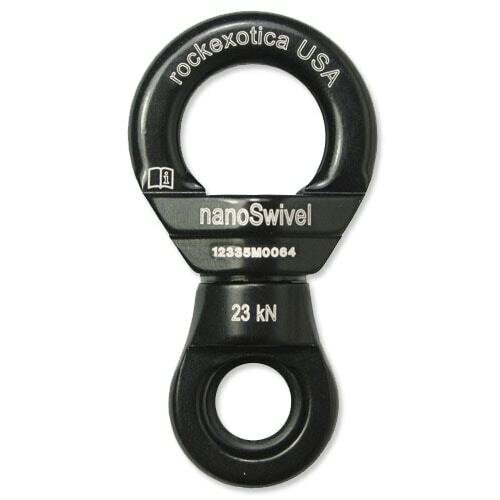 An optional 3.5 inch black forged aluminum locking carabiner is also available. 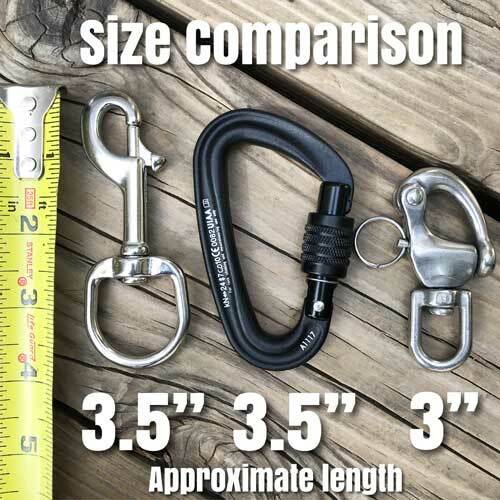 This carabiner is both CE rated and smaller than many other carabiners making it very suitable for large dogs. Keep in mind that unlike stainless steel clips, carabiners don’t swivel 360°. 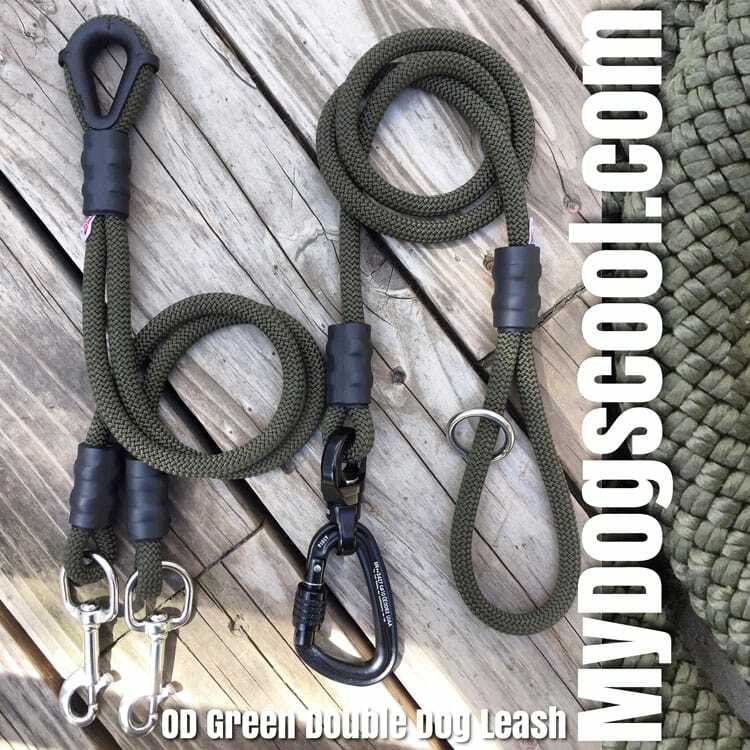 OD Green Carabiner Rope Dog Leash. 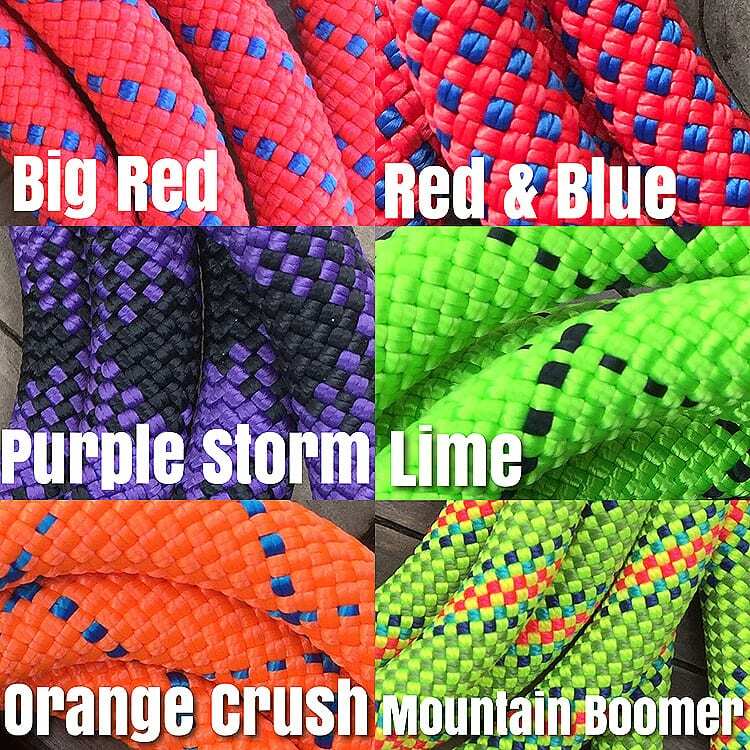 This leash is awesome! My beagle mix puppy is still in his "teething" phase and has gone through several leashes already. This one is solid and seems like it will last a lifetime! We had issues with the delivery which I attribute 100% to the post office and working with Josh to fix it was fantastic. He went above and beyond to make things right and we appreciate it!! So happy with our experience and will definitely be highly recommending this product and this company to everyone! Great product, unmatched customer service! Glad you like the leash Emily!! It certainly did a lot of unnecessary traveling through the mail! :-) Cant say we know what was going on with the postal service but the end result was positive and that's important to us. We strive to make things right with our customers if at all possible. Thanks so much and keep a close eye on the teething puppy. 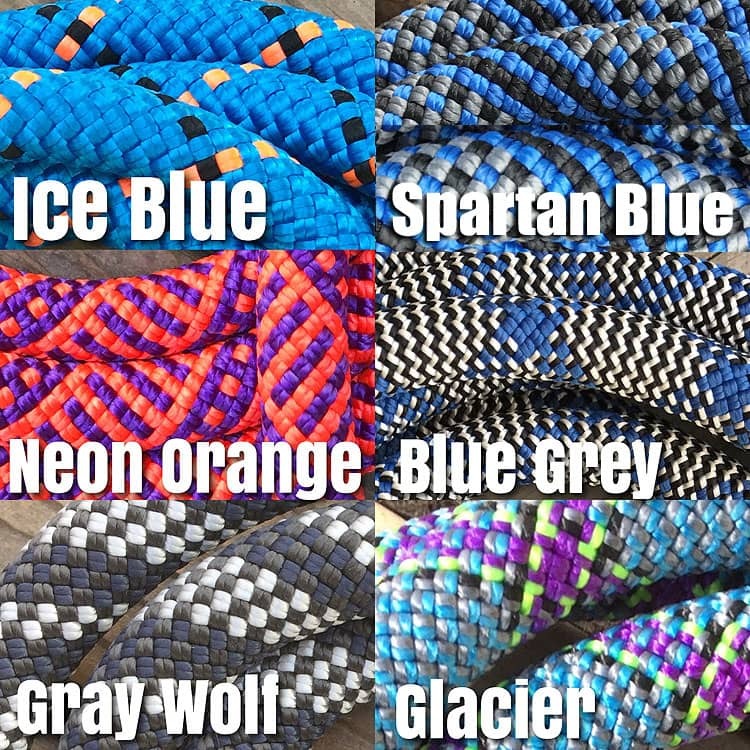 My buddy is a dog handler for the Army, and he has a few of these leashes. Holding one I felt pure quality. I had to get them for my dogs. They seem like they'll last a lifetime. I got them in the mail today and we've already went on a walk. They're great. Bravo!